Houston bills itself as the city with no limits, and that is exactly what it is. With an art and culture scene so extensive and diverse, it is little wonder that the city has earned a reputation for being one of the largest culture capitals of the United States. From various “high-brow” performing arts disciplines such as orchestras, grand operas, ballet and theatre to the unique museums of fine arts and even the basic folk and vernacular traditions, the city of Houston has created for itself a storied history that has enabled it to build this wonderful industry over time. So how did Houston cultivate such a great arts and culture industry? Houston is made up of a wide variety of people groups, each with its own culture, language and artistic expressions. In fact, it is said to be the most diverse city in the US. The city is home to people speaking almost 90 languages and you can find neighborhoods bearing witness to the cultural backgrounds of the people that populate them – Vietnamese neighborhoods full of Vietnamese businesses, two extensive Chinatowns with street signs in their own languages are just a few. Fortunately, the city’s major institutions have wisely tapped into that diversity and created good relationships with the city’s constituencies by supporting and sponsoring cultural events. The result is a unique vibe which anyone visiting the city cannot escape. This diversity is the very foundation of Houston’s art and culture scene. Artists and creative people find in Houston, the perfect environment to express themselves. The diversity in itself has spurred various communities to reflect their multiple cultures through renditions such as the Beer Can House, the Livestock Show and the Rodeo. The Rodeo is considered one of the most popular and beloved representations of Houston’s culture everywhere in the world, so much so that it draws visitors from even outside the shores of the United States. Houston’s cultural scene has a great population base of supporters who give generously towards cultural events, even during challenging times such as the economic crisis. These donations are generally made to the most established institutions, who may sometimes be the longest existing institutions. Between the year 2000 and 2010, contribution from supporters of this industry grew by over 80 percent, as more and more new arts and cultural organizations sprung up around the city thus fueling the growth of arts and culture. While new organizations may find it difficult to get funding for their endeavors, due to monopoly by the more established industry big-wigs, it is also true that these industry big-wigs have provided an open playing field for creatives such that artists have more earning power in Houston than all other comparable regions, apart from Los Angeles. Many of the Boards of Houston’s largest cultural organizations are also linked to the booming oil and gas industry, and according to the Financial Times, oil and gas companies in the city of Houston invest a lot of funds in developing Houston’s culture and arts scene to make the city more attractive for their employees to live in. 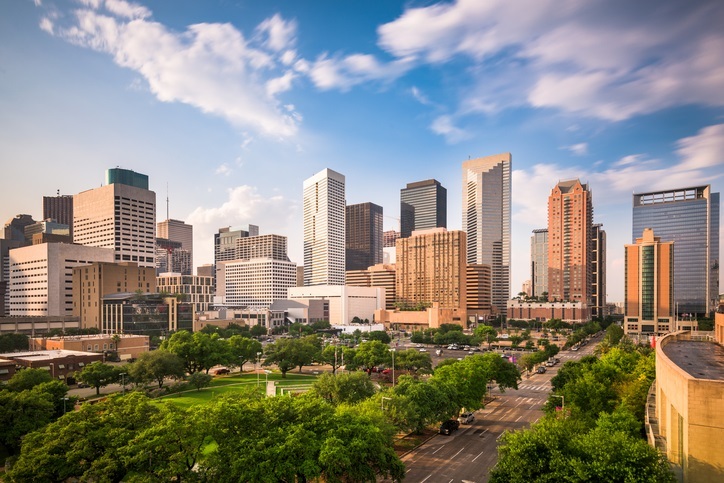 Houston has also leveraged its diverse and interesting cultural scene to boost its tourism revenues and thus increase the size of its arts and cultural industry. According to Randy Cohen, the vice president of Research and Policy of Americans for the Arts, the arts and cultural sector of the city of Houston supports about 25,800 jobs and acts as a tourism boost for the city. He goes on to explain that the industry not only supports over 25,000 jobs, but also bring in an average of 9.2 million tourists per annum. This influx of tourists helps to spur the development of the city’s infrastructure such as the rail-line that passes through the museum district and on the whole, has played a key role in the revitalization efforts of the city. With that kind of spending, one can certainly say that Houston and its art and culture scene enjoy a mutually beneficial relationship.